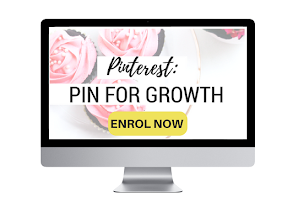 "As a blogger, over the time you have been blogging, what is one thing you would say has been most helpful in bringing you success as a blogger?" This is a question we get a lot. And although we can answer this in various different ways, such as scheduling our social media or staying on brand. We wanted to get into the heart of it instead of the technical side. 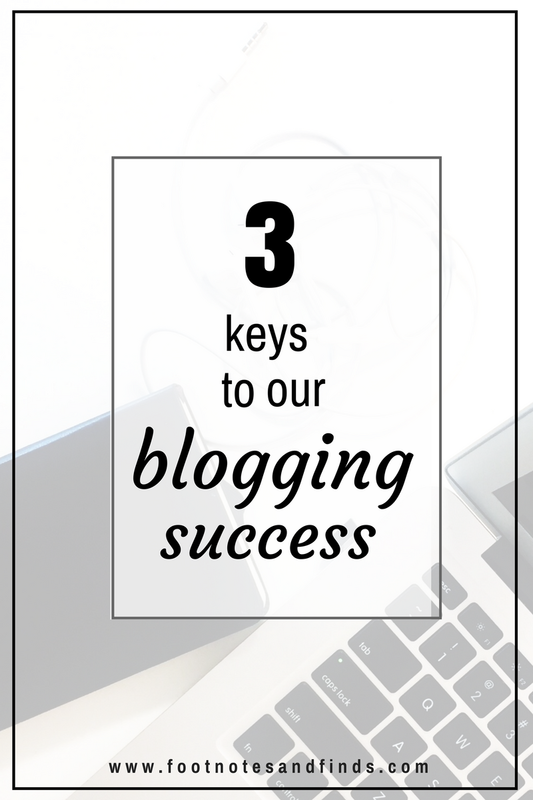 Below we have shared our 3 Keys to Blogging Success for footnotes and finds. And YOU, the reader, is definitely a huge part of that success, so THANK YOU! It all starts with dedication to good quality content, thus being organized and having some sort of consistency and calendar, therefore providing value through content. When you have put in foresight and thought into your content before hand it really shows and adds value to your blog. You are taking the time to understand your readers and then providing them with content that they enjoy reading and you enjoy producing. That is why, for footnotes and finds, it has always been the quality of content we are posting and not the quantity of blog posts. We have a editorial calendar which we use to plan out our content in advance. Then it's about community - interacting with and making connections with our readers and fellow bloggers - this can be through social media, through our content or in person. 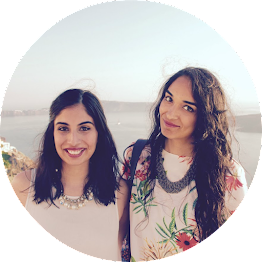 Being accessible whether it's to brands, readers or fellow bloggers. We love to hear from our readers and have footnotes and finds be more of a conversation with them. It is a great way to prompt dialogue and learn from one another. That is why we have continued our series Friday Finds where we share interesting facts, causes, and random things from all over the world and internet. And most importantly having fun and being true to yourself is the key to our blog- we have had blogs previously where we weren't really being true ourselves and the content felt forced - thus we weren't having fun. But with our current blog we are true to ourselves and we really enjoy blogging because we are discussing and writing things we would like to! Being authentic to our interests and keeping our voice genuine means we enjoy blogging more personally and we are connecting with readers that enjoy the topics we are blogging about. takeaway: have fun with your blog otherwise it will feel like a chore and your readers will be able to tell! What would your answer be to this question? What has led you to Blogging Success? Share in the comments below! Word. Great Post. I feel like consistency is definitely the main thing!!! And making a rad online tribe!!! I'd agree with all of these, and I think something that's so important is putting yourself into your blog so that your blog shows your personality!